As you listen to the latest shocking news about devastating Ransomware attacks like Wannacry, you will also frequently hear that most cyber criminals want their ransom to be paid in a mysterious new currency called bitcoin. Most people have heard about this new form of currency, but not many know about its origins and how it works. As a trusted IT Support provider, Network Depot has prepared this article to give an objective overview about bitcoin, including its advantages and disadvantages as well as its future outlook. What is Bitcoin and where did it come from? 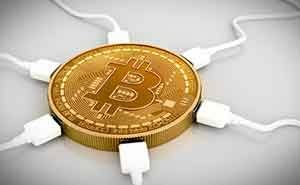 Financial experts describe bitcoin as a cryptocurrency and a digital payment system. It was invented by an anonymous programmer or group of programmers under the pseudonym Satoshi Nakamato in 2009. In short, bitcoin is an online financial network that people can use to send payments to another user or merchant. It is similar to conventional payment networks like credit cards or PayPal, but it differs in that it is completely decentralized with no owner, regulating authority, repository, or administrator. 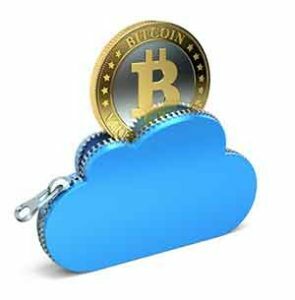 Instead bitcoin operates over an open source, peer-to-peer structure with many computers over the internet working to process all bitcoin transactions in its own unique digital currency. What makes bitcoin function without a central authority is something called the blockchain, which is an electronic public ledger that records and reveals all bitcoin transactions. The bitcoin transaction displayed in the blockchain takes place between individual bitcoin wallets, which store bitcoins as well as a crucial piece of data called a private key or seed. This encrypted data provides a mathematical proof that comes from a specific wallet and allows the owner to sign or authorize transactions. This unique signature also prevents the transaction from being claimed or changed by anyone after it has been initiated. The blockchain is maintained and updated by miners, independent users with computers/devices that use complex algorithms to solve computational problems. These mining functions ensure that all bitcoin transactions only proceed or are cleared using the correct encrypted keys each user and transaction is assigned. These miners earn bitcoins by performing this critical function, which adds new cleared transaction blocks to the chain. The miners’ efforts keep the process transparent and running smoothly. Miners can also earn transaction fees by offering to prioritize the processing of specific transactions. Bitcoin and other cryptocurrencies (ethereum and ripple) are currently being used significantly-some estimate there are nearly 6 million unique users. Bitcoin is accepted by a wide variety of more than 100,000 merchants including respectable companies such as Microsoft, PayPal, Dell, and Overstock.com as well as some notable nonprofits such as Wikimedia Foundation and Mozilla Foundation. Many early adopters and tech or financially-savvy individuals are using bitcoin because of its novelty and convenience. Libertarian types also like bitcoin because of its lack of regulation by a central bank. Because of its anonymity, privacy advocates like using bitcoin along with hackers and criminals such as drug dealers. Many different individuals and groups are investing or speculating in bitcoin with dreams of realizing a healthy profit from its potential growth. There is no central bank or regulating authority controlling or monitoring your transactions. This financial system is self-regulated and works independently from nations and organizations. Bitcoin is not subject to arbitrary rules or regulations from any outside source. Proponents also say it provides a more reliable form of currency and payment options in unstable countries such as Venezuela. In addition, because there are no middle men or banks involved in transactions, there are no mandatory transaction fees or currency conversion fees, which is appealing to individual users and merchants. Since users are only identified by their wallets and accompanying private key, no names or addresses of any users are recorded. Privacy advocates are in favor of this protection, as transactions are recorded and open for all to view, but no personal information is ever revealed or shared. Some users are buying bitcoins in the hope that their value will grow and that they can cash in with a nice future profit. The value of 1 bitcoin is currently more than $2,500 and proponents feel that it has the potential to be worth much more. Even though the number of merchants has grown steadily, the vast majority of businesses do not accept bitcoin as a form of payment. This limitation can be frustrating to individuals who want to use bitcoin for the majority of their purchases and transactions. One glaring problem with bitcoin accompanies its advantages: Independence and Anonymity. If you lose your private key information or have any difficulties with any transaction, there is no official recourse. The bitcoin network will not recognize any other evidence of ownership aside from the private key. There is no official authority that oversees these transactions and no way to recover your funds if you somehow misplace or damage your private key information. One glaring example of this danger was reported in 2013: one unfortunate and careless individual lost 7500 bitcoins, valued at $7.5 million then, because he accidentally discarded a hard drive containing his wallet and accompanying private key information. With the advantages of independence and non-regulation, comes the disadvantages of an unregulated market with the value of bitcoin being set by pools of investors. As a result, instances of price manipulation and trading with insufficient funds occur more often than in regulated markets. Critics note that even though the value of bitcoin has risen recently, that its value has spiked and crashed numerous times in just its first decade of existence. The most recent setback came this year when the Winklevoss twins (famous for their disputed involvement in the founding of Facebook) were denied in their efforts to start a bitcoin-based Exchange Traded Fund (ETF). Experts disagree on bitcoin’s future outlook. Enthusiasts envision it evolving like another PayPal to meet the financial needs of users currently not being served by conventional payment systems. With its open source architecture and flexibility, some see its potential to be even more positively disruptive and provide services more effectively than current financial networks. Since the ultimate number of bitcoins in circulation is designed to only reach 21 million by 2140, bullish investors believe that their value will inevitably increase. Critics of bitcoin describe it as too unregulated and risky, and as a result, highly unsuitable as a medium of exchange or as a store of value. They note its pattern of volatility over its existence and compare it to the real estate and dotcom bubbles. They also note that its trading volume is light as reportedly less than 1000 people hold at least 50% of bitcoins and that hoarding of them is prevalent. Many also take issue with its privacy features, saying that it provides a haven for criminals like drug dealers, hackers, and tax evaders. Most experts agree that all individuals should educate themselves before using and/or investing in this unfamiliar cryptocurrency. If someone is interested in learning more they advise working with expert bitcoin payment service providers such as BitPay or Coinbase. In short, some good advice to heed: when it comes to bitcoin, be more than a bit cautious! This article was written by Network Depot’s Marketing Director Chris Sylvester.